We love to welcome new pupils to our school. Pupils are welcome to join us at any stage of their education. 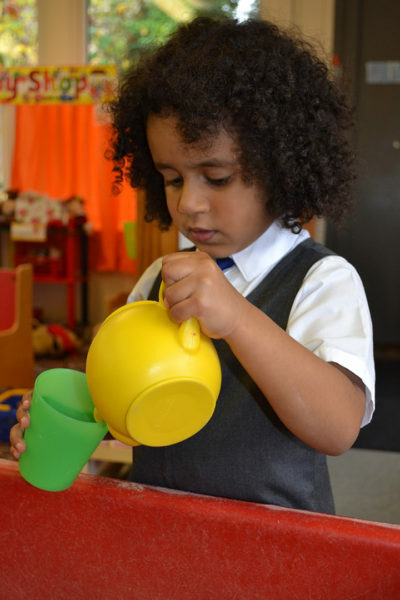 Children usually join the nursery in the September following their third birthday, but can start later in the year providing spaces are available. Children may attend on a full-time or part-time basis. The school will consider requests for three year old children to start earlier in the nursery if places are available. To apply, please complete the application form and return it to the school or visit us to have a look around, please do not hesitate to contact us. We are happy to welcome pupils to our school at any time throughout the school year, providing we have spaces available. Having decided to send your child to Dudley House School, parents should apply directly to the school by completing the application form and return it to the school. On receiving the completed application form the school will consider the request and confirm in writing whether a place has been offered and the date of entry. Just before your child starts Dudley House School a £500 security deposit will be requested, (except from those who are only accessing their free 15 hours Early Years Entitlement). This deposit will be held as security and will be returned to parents providing all outstanding invoices are paid.